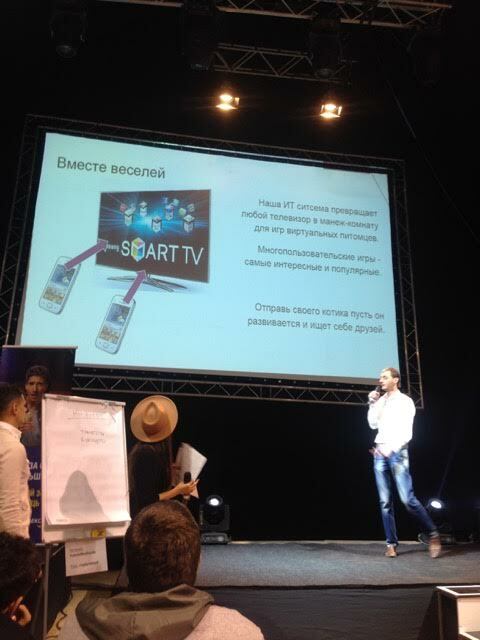 Last weekend, we were excited to support Ukraine's largest Hackathon dedicated to creating working prototypes of innovative media solutions that will help bring traditional media to the next level of digital evolution. 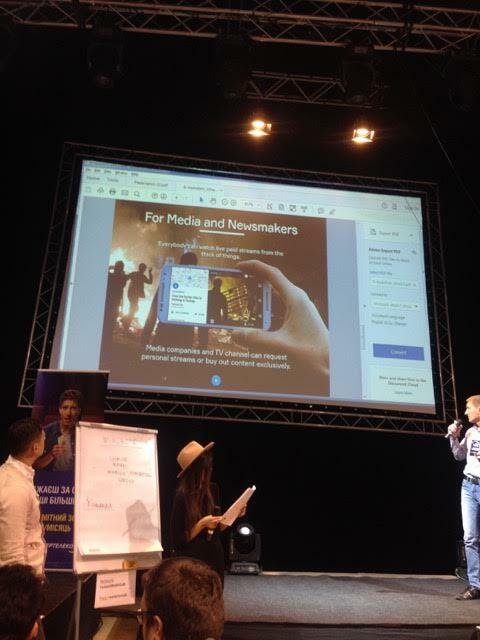 Organized by 1+1 media's Future Media Lab and supported by local IT companies including Intersog, the Hackathon spanned over the entire weekend from Oct 16 till Oct 18, 2015 in an attempt to generate new ideas for disruptive technology solutions and identify new use cases for / ways to integrate Big Data, second screen, virtual / augmented reality (VR / AR), mobile applications and other digital trends with traditional mass media such as TV. The event gathered arout 400 digital media enthusiasts, IT specialists, PR and marketing folks that divided into teams to work on prototyping projects. 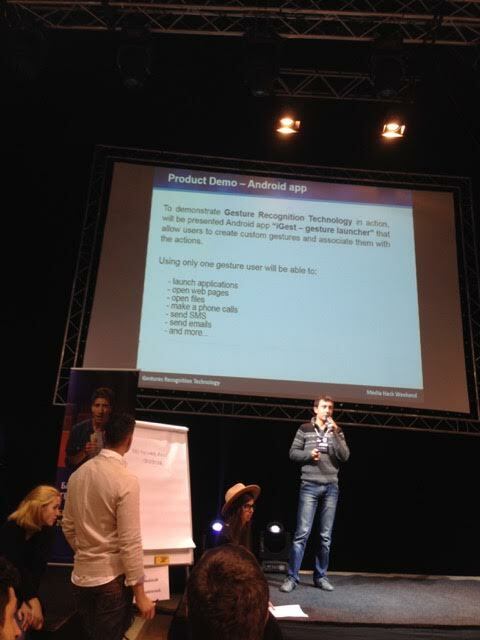 Anyone with a cool solution idea had a chance to pitch their idea to the audience and find required / missing resources right on spot to help bring their ideas into life. Ideas pitching was a very interesting part of the Hackathon: although most of entrepreneurial wannabes have yet to learn how to pitch their projects properly within a very short timeframe to attract people's attention, many demonstrated good business acumen and understanding of what solutions are needed today to disrupt traditional media, create new types of non-obtrusive advertising, digital media apps, etc. 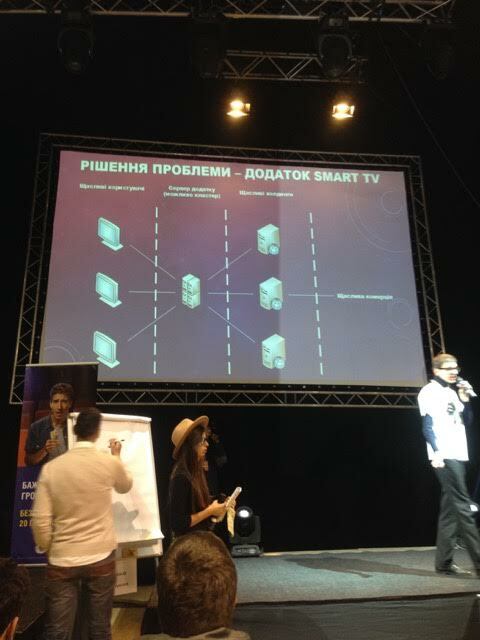 Inter-in-act - smart TV application that aims to increase efficiency of TV commercials and prevent media holdings from wasting money on inefficient advertising campaigns. Are you looking to build your digital media solution in a cost effective way? Mymobstr - location-based video streaming application that allows media companies, TV channels, newsmakers and journalists to search for available geo-based streams, request free or paid access or buy out content exclusively from streamers. This app can save media companies a lot of money they normally spend to find an exterior location for video shooting or holding an event. Hi-Kitty - new-gen tomagotchi that brings in multiuser gaming experience to smart TV. VideoGorillas - a Ukrainian startup specialized in building innovative technology for video production and optimization of filmmaking process. Their patented technology is already used by many Hollywood studios. The guys came to the Hackathon to pitch their computer vision project that is based on neural networks. The technology allows for associative language modeling, i.e. 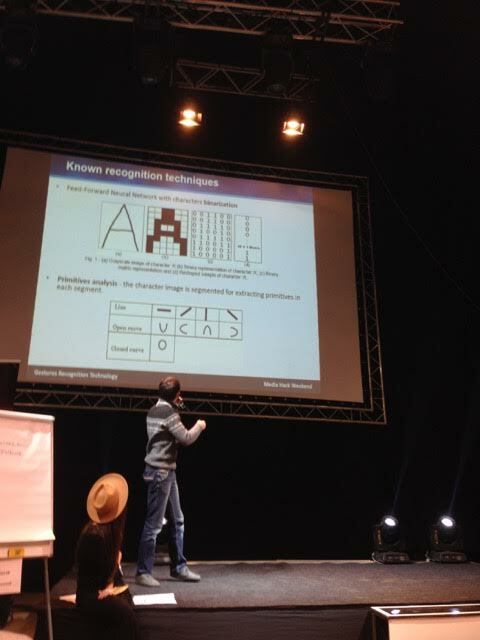 robotic ability to describe in words what's shown on the screen. Spillikin - interactive puppet theater for smart TV that aims to create a true mobile ecosystem at home. Right now, the mobile ecosystem is very fragmented and platform-dependent. One average family can have a TV, smartphones, tablets and a PC that run different OS's, which disintegrates family and discourages communication. Using this interactive technology, parents can spend more time with their children even while watching TV or checking mail. It's actually in line with the latest pediatrician findings that it makes no sense to forbid kids to watch TV or use smartphones; instead, parents should co-use their children's devices to better educate them. Teams had been working on their prototypes non-stop for 48 hours under mentorship of professional software and mobile developers, PMs, PR specialists and marketers, and other supporting roles. 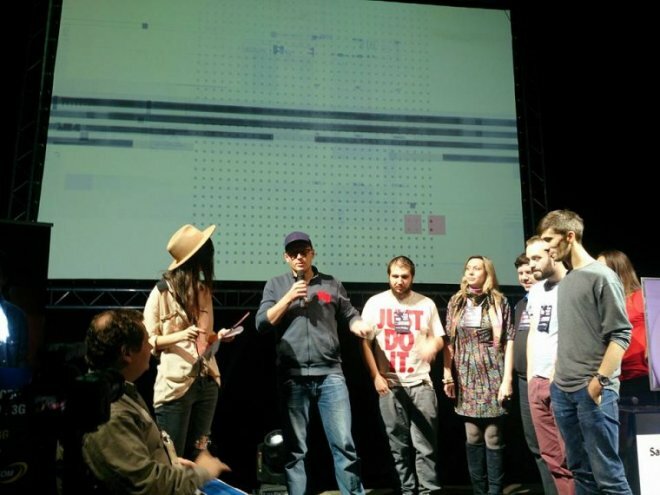 After all working prototypes had been presented to and reviewed by the jury, Spillikin was announced the Hackathon winner. Our congrats to the project team! 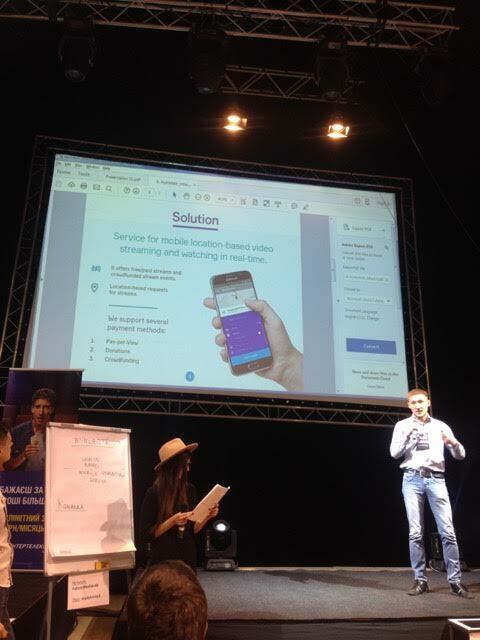 To see more pictures from the Hackathon, please visit our FB Ukraine's page.